Home Evaluating Customer Lifetime Value Of An App User- Worth It Or Not? Apps today are a dime a dozen. Some accomplish success, while others experience a setback. This brings us to the app dissection table with a fair amount of banter that surrounds mobile app marketing metrics. App marketing arena is often a buzz around the metrics that matter and the one’s that are often overlooked, especially when only 26% of apps are opened only once! All these metrics influence the shelf life of an app. The sum total of all the revenue generated by a user from the point of app installation until it is no longer used. With the rising cost of acquisition, customer lifetime value has emerged as a powerful metric. But that’s not all. A thorough knowledge of CLTV can help app developers in not only gauging app loyalty but also in fine-tuning their marketing efforts. CLTV also helps developers in putting marketing dollars to good use and understanding the worth of each app user, amongst others. In this article, we aim at exploring this metric from close corners. It is rather essential to know why and how it can affect an app’s growth. What Constitutes Customer Lifetime Value? Now that we have a brief idea about customer lifetime value, it is critical to understand its constitution. Lloyd Melnick has broken this metric into three parts, each with a unique purpose. Lloyd is the Director of Social Gaming at Rational Group and the man behind Zynga’s social casino apps. 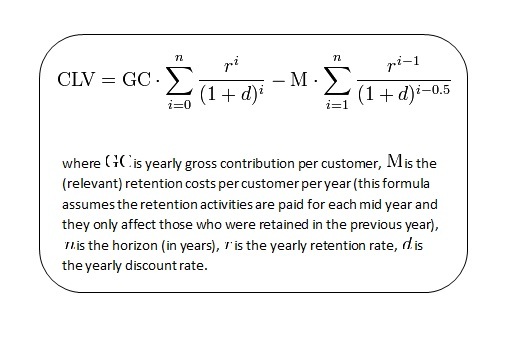 In his benchmark post on Customer lifetime value, Lloyd explains this further. Monetization– The amount spent by an app user in its lifetime and includes micro metrics like ARPDAU (average revenue per daily active user), ARPPU (average revenue per paying user) and ARPU (average revenue per user). Retention– retention stands for the level of engagement that a user has with your app, within a certain period. Virality– a measure of the total number of new users brought in by the existing users. CLTV will differ from one app to another given its dynamic nature. For an E-commerce app, it may mean In-app purchases and for a music app it may mean total time spent on the app. For some apps, it may also indicate the amount of referrals that came their way. How To Calculate Customer Lifetime Value For An App? Customer Lifetime Value can be calculated by measuring monetization, retention, and virality, as mentioned above. Alex Walz– Marketing at Apptentive has explained it in the simplest manner possible. I’ve listed it below, considering that sometimes one should not challenge perfection! Tapdaq has provided a more workable example to understand this concept. I would also recommend an approach that talks about calculating Receipt LTV, Weekly Cohort LTV, Multiplier LTV, Average LTV and Weighted LTV, meant especially for game- app developers, but can be applied to other apps as well. Why Should An App Developer Bother About Customer Lifetime Value? Precisely for the value it will add to your overall app marketing initiatives. But for the sake of debate we are listing a few examples that will help you with a much clearer picture of the metric along with a few practical examples. The cost of acquisition is painstakingly high. A clear understanding of CLTV can help app developers in reducing the expenses while acquiring a new customer. An app developer may increase spends on In-app ads or stop it for that matter, depending on the post- install data. With the CLTV data in place app, developers can evaluate the acceptance of new In-app features and how app users are adapting to it. Customer Lifetime Value is also a valid indicator of the channel that can attract users and the one that can’t. Instead of guesswork, it gives app developers the ability to nail its most profitable tactic. For example, whether it was In-app referrals or a paid social media campaign that made them download an app. This also gives them the power to shun tactics that are not financially viable. 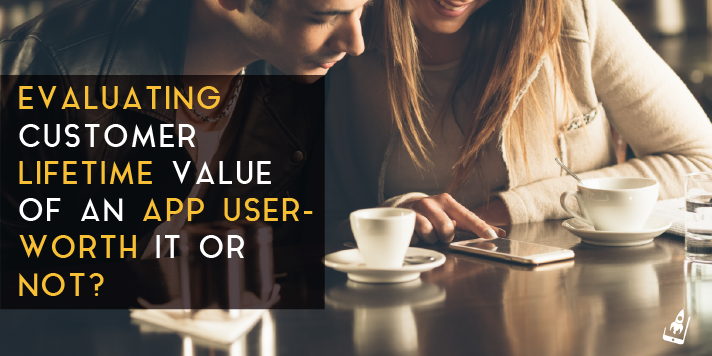 It also helps in segmenting an app’s high-value user from its low-value users. For example, a travel app may identify the users that are more likely to make an in-app purchase as opposed to the ones that only browse its content. Every app has a percentage of users that can be termed loyalists. These are the users that refer your apps incessantly, thereby increasing app downloads. CLTV helps app developers in identifying and separating these loyalists from the crowd. “Although one might argue that increasing total revenue is the ultimate goal and hence what is described here is a success story, such growth is not *sustainable*. If the revenue per user keeps decreasing, then the game will likely cease generating any profits in the near future. Especially freemium games often fool their developers in just this way. Measuring customer lifetime value for app developers shouldn’t be difficult. Platforms such as Localytics and InMobi have eased out this issue for app developers. With numerous benefits and a simplistic approach, I believe measuring Customer Lifetime Value remains a critical exercise for developers. Once this metric is defined for your app you can take better decisions that surround your app’s marketing, product, sales and customer support. In a nutshell, customer lifetime value is your currency for success! Like always, please drop in your comments. If you’ve loved what you’ve just read, then don’t hesitate to share it! It is great to focus on CLV implementation for app marketing as mobile sales already bypassed the desktop ones.